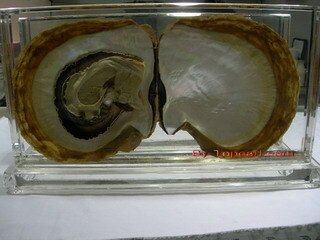 Pinctada maxima(Jameson) craft, the oyster is not alive,it's preserved by the special liquid. 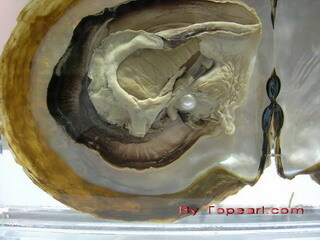 The oyster is with one big,real white South sea pearl inside. 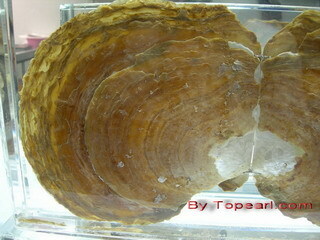 The oyster shell size is about 39x19cm, the size like the oyster shell is very few. 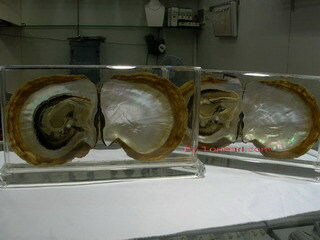 The perfect ornament & artcraft for your office,store and showroom, specailly for jewelry stores and showrooms. 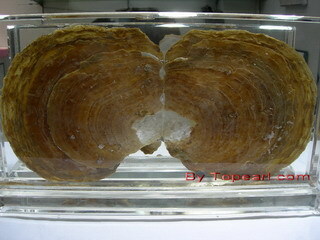 The unit price is about USD560.00. The lead time is appro. one month.